PicsArt Photo Studio (Android) ~ Android Forever! 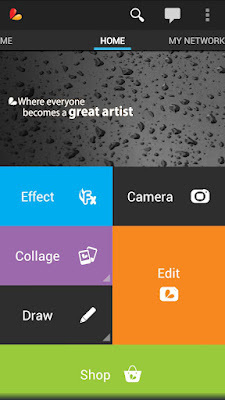 Developer Quote: "Packed with more features than in many paid apps, PicsArt has rocketed to become the #1 photo app on Android by combining the best of what Photoshop and Instagram have to offer, all wrapped in a amazingly intuitive and easy-to-use user interface." * Camera - enables you to take a picture and apply various effects by enhancing your standard camera. * Picture Editor - Tons of photo manipulations, masks, collages, frames, borders, stickers, text effects, clipart graphics, callouts, crop, rotate, color adjust and more! * Draw - Many drawing effects including: draw, sticker mode, callouts, artistic brushes and text styles! Draw on your Facebook friend's photos and share your artwork with the World! 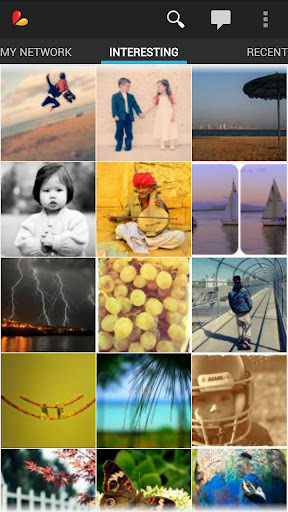 * Sharing - quickly share with family and friends in PicsArt social network or by adding photos to Facebook, Twitter, Flickr, Picasa, Dropbox, Fouresquare, Tumblr, Blogger, Wordpress and DeviantArt or send photos by SMS and email. PicsArt is FREE on Google play!